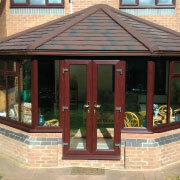 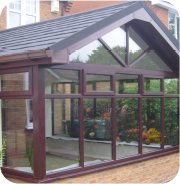 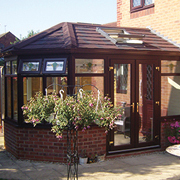 The combination or P-shape Conservatory can allow you to have two different style living spaces under one Guardian™ solid roof. 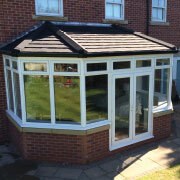 These spaces are extremely adaptable to create a unique, multipurpose room to your exact specification. 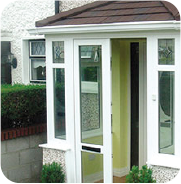 Adding a porch to your home comes with a host of benefits, installing a Guardian™ insulated roof onto a porch not only adds to the appearance of your home it also increases the energy efficiency. 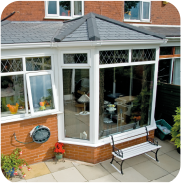 The Guardian™ insulated roof can be quickly installed, will reduce your energy costs and adds to the overall appearance of your home.